Red Top Capital LLC and a industry executive purchased certain assets, the business and intellectual properties of Allis Tool & Machine Corporation on March 6, 1997. Red Top Capital LLC owns 75% and management owns 25% of the Company. The Company performs high precision machining, up to 26,000 LBS, employing over 30 people in the Milwaukee, WI area, and is ISO 9001 certified. Visit Allis Tool’s web site for more information www.allistool.com or contact Peter Rathmann at 414-453-5500. 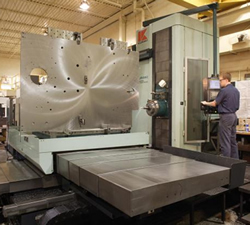 Fabrication, machining and assembly of custom steel components up to 100 tons. 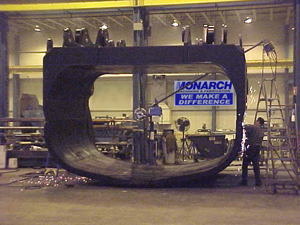 Monarch Machining and Fabrication was acquired in July of 2007 by Red Top Capital LLC investors and existing management. Monarch closely compliments Red Tops existing investment in Production Tool and the combination of these two entities will provide enhanced capabilities to customers of both Production Tool and Monarch Machining. Visit Monarch Machining’s website for more information www.monarchcorp.com or contact Bill McClellan 414-353-8820. 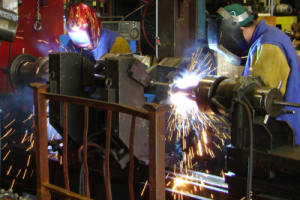 Allis Roller manufactures complex fabrications and machined components. Over 50 years ago, the company began with a focus on Agricultural OEM markets with roller and shafted products. As the company’s engineering and manufacturing expertise developed, the product offering expanded to the Construction/ Industrial OEM markets and beyond. By employing LEAN Manufacturing principles, the company truly partners with their customers and delivers more than products. The major customers include CNH, John Deere, AGCO, Quadgraphics, Gehl, Alamo, Putzmeister, and Vilter. Visit Allis Roller LLC for more information www.allis-roller.com or contact David Dull at 414-423-9000. © 2019 Red Top Capital LLC All rights reserved.